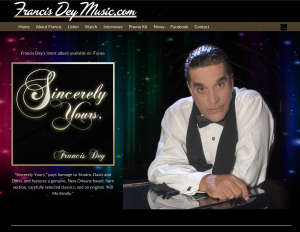 Francis Dey’s website, francisdeymusic.com, features an auto player, separate music and video pages, and a contact form. The widget areas all stack vertically for mobile and smaller tablet devices. By using a proprietary page template, this site is able to take advantage of a layered look; the showbiz background along with a “cut out” image of Francis. 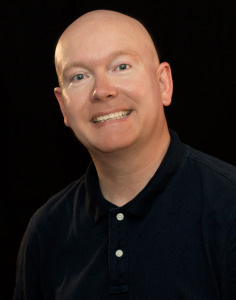 This site is what you would expect from a big band crooner, and has elements for blogging and more!